Ava is a firebug-she can start fires with her mind. Which would all be well and good if she weren't caught in a deadly contract with the Coterie, a magical mafia. She's one of their main hit men . . . and she doesn't like it one bit. Not least because her mother's death was ordered by Venus-who is now her boss. When Venus asks Ava to kill a family friend, Ava rebels. She knows very well that you can't say no to the Coterie and expect to get away with it, though, so she and her friends hit the road, trying desperately to think of a way out of the mess they find themselves in. Preferably keeping the murder to a minimum. 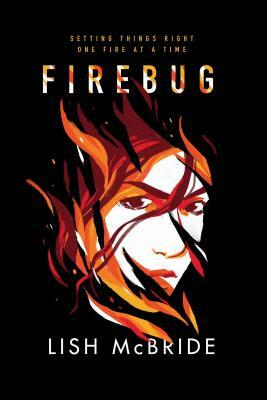 Firebug by Lish McBride is an irresistible YA novel that blends a heady, supernatural twist into a modern gang story with a distinctive bite of snarky humor.